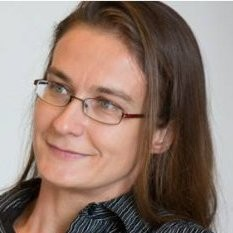 Claudia Perlich is a Senior Data Scientist at Two Sigma in New York City. Prior to her role at Two Sigma, she was the Chief Scientist at Dstillery where she designed, developed, analyzed, and optimized machine learning that drives digital advertising. She started her career in Data Science at the IBM T.J. Watson Research Center, concentrating on research in data analytics and machine learning for complex real-world domains and applications. She tends to be domain agnostic having worked on almost anything from Twitter, DNA, server logs, CRM data, web usage, breast cancer, movie ratings and many more. Perlich is an active public speaker and has published over 50 scientific publications as well as a few patents in the area of machine learning. She received her PhD in Information Systems from the NYU Stern School of Business, and holds a Master of Computer Science from Colorado University.